Create other private WooCommerce content! It greatly complicates managing your private products later on. To save a lot of time and give you more flexibility, you can use a WooCommerce private category plugin like WooCommerce Protected Categories. 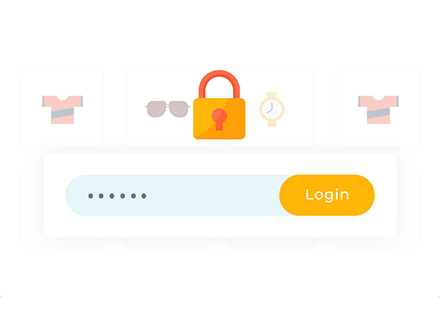 With this plugin, only users with certain user roles (that you can choose) will be able to see the product categories that you mark as private – or the products within them. How does this WooCommerce private category plugin work? WooCommerce Protected Categories lets you make one or more categories at your WooCommerce store private. Only logged in users with a certain role can see the private WooCommerce category or its products. You can choose which user roles have access to the private category. For example, you might want to make the private categories available to all logged in users, or a specific role such as ‘wholesale’. All the products in that category are also private. Any subcategories are also private. Below, you’ll learn how to use this WooCommerce private category plugin. Start creating private WooCommerce product categories today. Once you have WooCommerce Protected Categories installed and activated, you can start marking categories as private right away. To do that, go to Products → Categories to view a list of all your WooCommerce product categories. Edit an existing category or create a new category that you want to make private. Whether you’re creating a new category or editing an existing one, you should see a new Visibility option near the bottom of the page. Password protected – Make the category private so that only people with a correct password can unlock it. Enter 1 or more passwords. 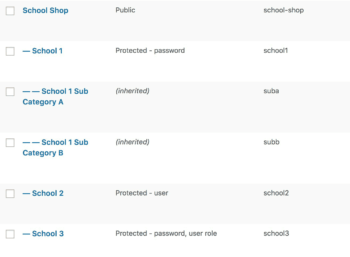 User roles – Make the category private so that only certain logged in WordPress user roles can see it. Select the user roles here. You can easily create extra user roles (e.g. ‘Wholesale’) with the free User Role Editor plugin. 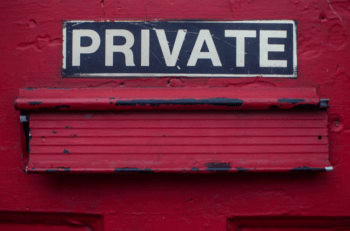 Users – You can also make WooCommerce categories private to individual users, and hidden from everyone else. Private – This is another way to create a private WooCommerce category. It uses the ‘Private’ posts feature built into WordPress itself, which restricts content to specific user roles (normally administrators and store managers). Use the private categories option if you already use private posts/pages/products elsewhere on your site. But for most people, the various ‘Protected’ options are best because they give you more fine-grained control. At this point, your category and all its products are private. But you still will likely want to perform a few additional steps to configure how that privacy actually functions. To configure the plugin’s general settings, go to WooCommerce → Settings → Products → Protected categories. There are lots of options here for how your private WooCommerce categories will behave. For example, this is where you customize the login page and choose what happens when a logged out user tries to access a protected category. You should also use these options to choose whether or not to show private content in the public parts of your store. Can I put a product in a public category and a private category? Each product can only be in a private WooCommerce category OR a public category – not both. If you want to put the same product in a public and private category (for example, to charge different prices to different users role) then you can easily clone WooCommerce products using the free Duplicate Post plugin. Just bear in mind that when someone accesses a private category, they can still see all your public products. Can I create different private categories for different users? Yes! You can either do this by creating a separate WooCommerce password protected category for each person; a separate category for each user role; or a unique category for each user. 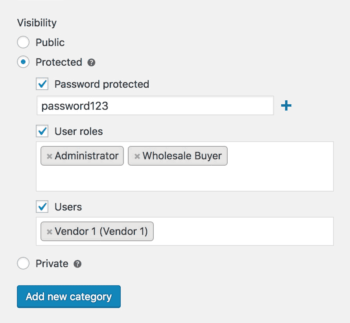 You can create as many protected WooCommerce categories as you like, each with different protection options. You can then give a password to everyone who needs access to them. This is a good way to create customer-specific products. Please note that the ‘Private’ categories option doesn’t let you create user-specific products, as they’re visible all logged in users with access to private content. Use one of the three ‘Protected’ options instead. Further reading: The complete guide to creating customer-specific products in WooCommerce. By using a WooCommerce private category plugin, you can easily make multiple products private and control exactly who has access to them. Have any other questions about how this WooCommerce private category plugin works? Just leave a comment and we’ll try to help you make your decision!